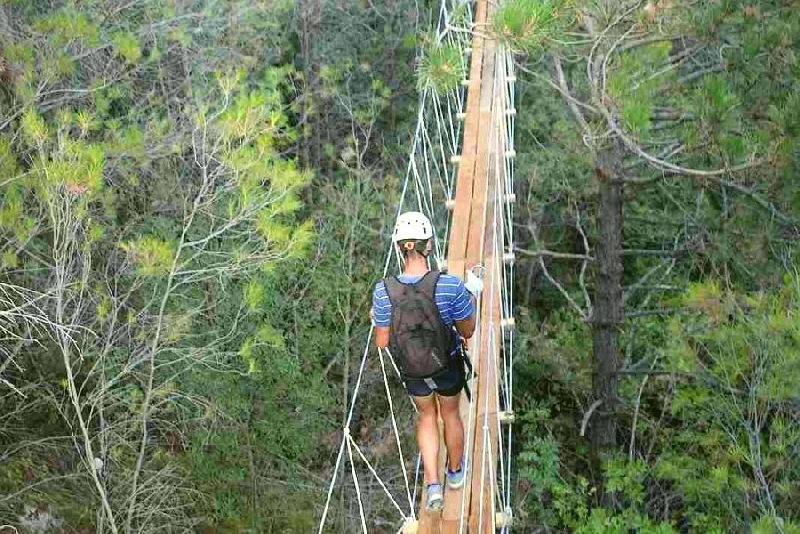 Zip line - Split is 3 hour adventure has 6 zips total lenght of 2500 meters and one 90 meters suspension bridge trought pine trees. While waiting between each zip, you will enjoy amazing views of Dalmatia inland and the Adriatic sea. The 3 hour Adventure has 6 zips total lenght of 2500 meters and one 90 meters suspension bridge trought pine trees. 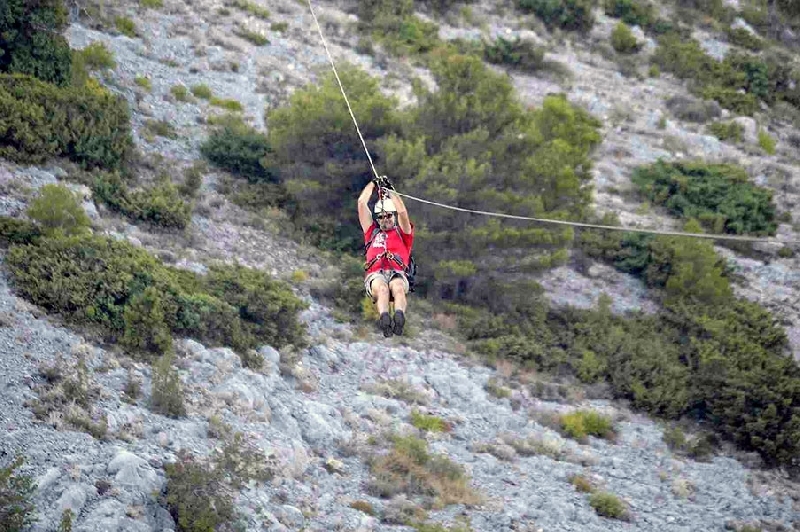 While waiting between each zip, you will enjoy amazing views of Dalmatia inland and the Adriatic sea. 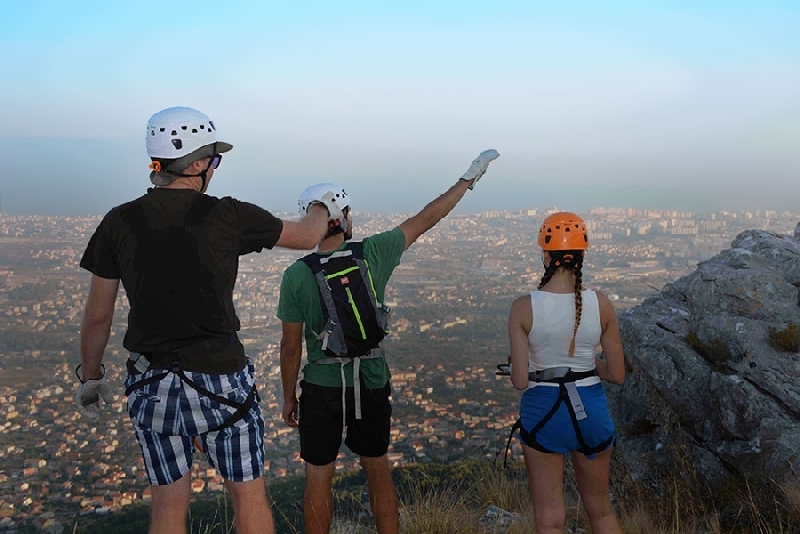 Your professionally trained tour guides offer education and fun throughout your nature walks over the mount Kozjak. Our tours operate rain or shine and regardless of temperature. Wear appropriate clothing for the conditions. Close-toed footwear that is suitable hiking on variable terrain is required. Avoid wearing loose clothing, such as ponchos, scarves, and excessively baggy clothing. Due to the nature of the ride, we recommend that participants leave valuables such as jewelry and cell phones at safe place. All participants must weigh between 30 and 110 kg (70 and 250 lbs). Please note that children must be at least 17 years of age to participate on a zipline tour without an adult. Our suggested minimum age is 10 years old. However, everyone must meet our weight requirement.